I traveled with with Vicky Kanyoka (Africa Regional Coordinator) to Geneva from Amsterdam. We arrived at Geneva’s airport at around 2 pm and proceeded to the apartment that IDWF booked for half of our delegation. We had a briefing on that same day and went to the market to buy some food stuff. I was so excited upon seeing the place but a bit desperate because I was expecting to see “snow”. 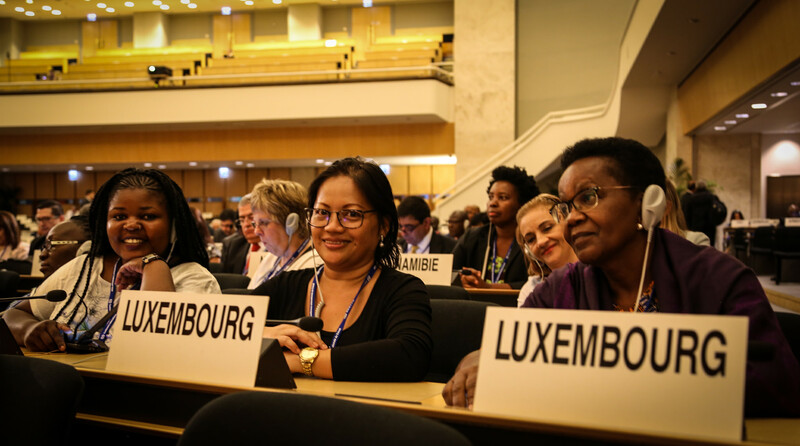 I was full of excitement, I was thinking on what will happen during the ILC (International Labour Conference meeting), and since it was my first time and had no idea on what will happen on the next days. In the afternoon was the scheduled workers meeting. We were oriented by Karin Pape (IDWF Europe Coordinator) on the flow of the conference, the rules of engagement and our participation. Since it is a tripartite meeting we can only observe how the employers will possibly behave. A brief review of the topic of the conference was done. 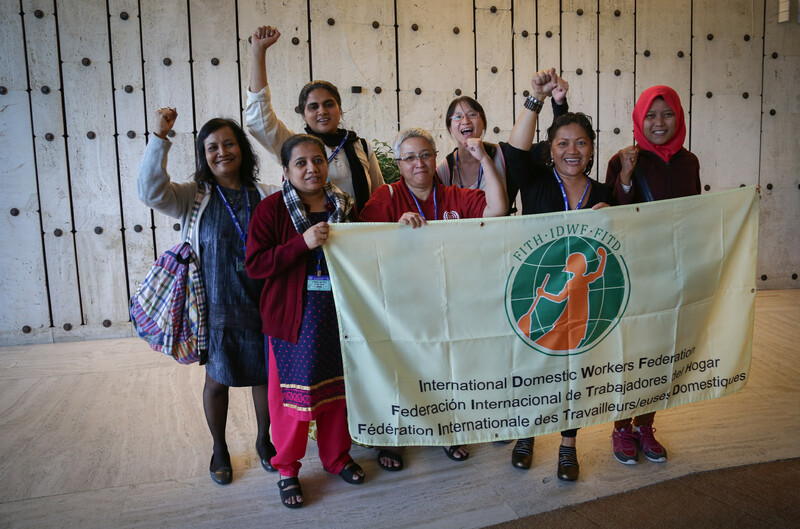 The International Trade Union Confederation meeting was held and tasks and roles were assigned to the representatives that were going to chair or co-chair the different discussion groups. 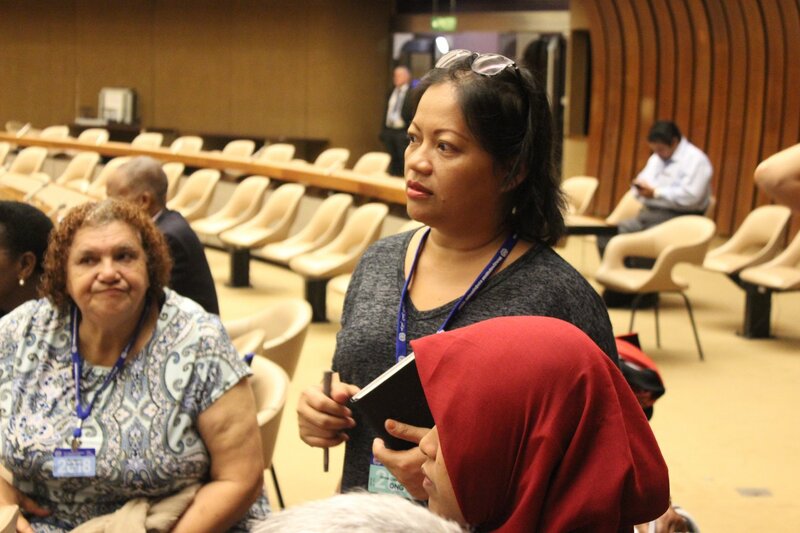 We were told by Fish Ip, IDWF Asia Coordinator that we need to lobby with our government representatives. I was wandering how to lobby? She told us that we need to ask our government reps which was their position on the convention, whether they support a “recommendation only or support a convention”. It Started the ILC meetings. It was Formal presentation of the official representatives and who will chair during the conference. At first I didn’t understand anything, especially with the presentation of the employer, everything was so blurred to me. Today, I met Nice, a sister from SENTRO (a Trade Union Confederation in the Philippines). It was nice to see her, she pointed to me the Filipino government representative and showed me where she was sitting in the room. In my mind, I kept thinking how can I approach and come closer to our country representative. Finally I was able to talk to her and introduced myself, my organization and its affiliations. I did not feel not alone after meeting Nice of SENTRO. I started to internalize the process and so the topics discussed at the sessions and bit by bit I started to do my part…looking for our country representative to lobby him. On this day I met and had selfie with the Under-secretary Joel Maglunsod of the Department of Labor and Employment, the Philippines. I was so excited to tell them our stories. There was a heated discussions among governments, employers and trade union representatives. This day I internalized and truly understand what was going on inside the plenary session. The discussions and debates at the tri-partite session ended at around 10 pm, with no closure or a clear conclusion; it was all about discussing amendments. I observed that there was a progress in the discussions but I felt so tired already from the debates on days 1-3. Though tired but still inspired and looking forward for a positive result of the conference. We went back to the apartment around 6 pm. I was feeling positive and could see that everyone was calmed and relaxed. The worker’s representative (Marie Claire Walker from the Canadian Labour Congress) was very good in carrying her presentation. How the African and Cuban government were very supportive to the workers group, and also was very happy that our government (Philippines) started to be more vocal and participate on the 3rd day of the debate. The Indian government opposed the convention. I kept wondering why the Indonesian government did not defend or favor to the workers group, when their people, the Indonesian migrant workers, are the most vulnerable especially here in Malaysia. Finally, some of the trade unionist were just so silent. What I’ve learned from the experience is how these ILO Conventions are made, how the debates are being discussed, and more importantly, what I need to do –which is to READ and STUDY more the legislations of each countries, both the Origin and Receiving countries. If you are equipped with these tools then you are really ready to negotiate with your government.